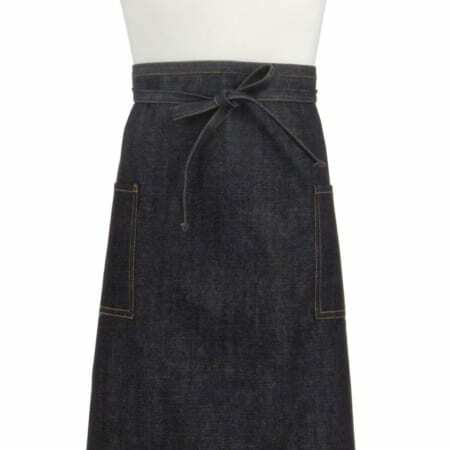 No fading or wilting—This apron holds its shape all day and holds its Denim color after many washings because it’s made of durable 65/35 Poly/Cotton 10.5 Denim Twill. 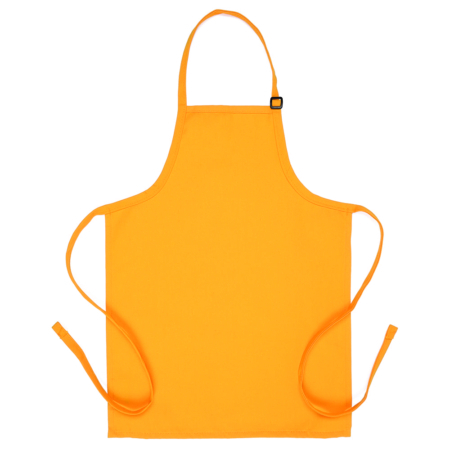 Personalize It—This apron can be above ordinary. 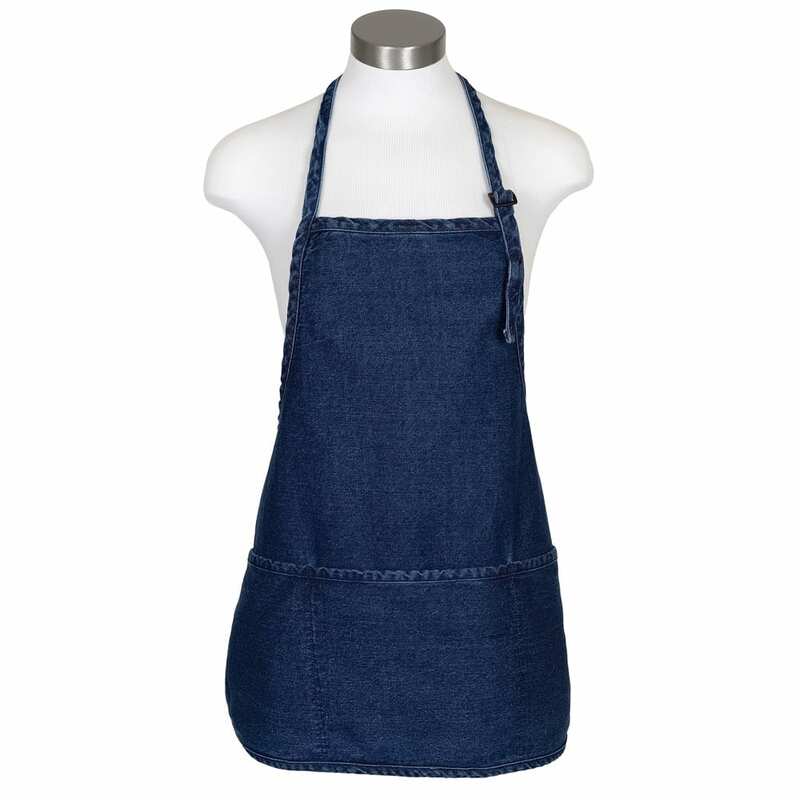 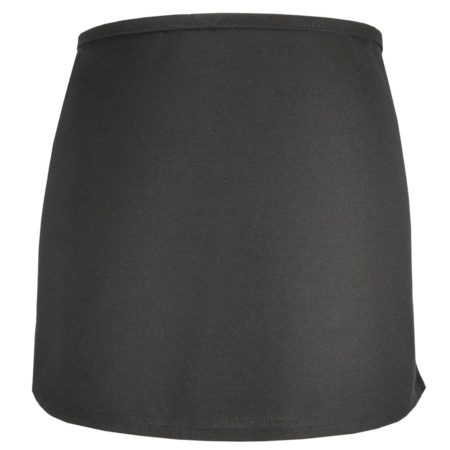 With custom embroidery options, a name, logo, or word can be embroidered on the apron. 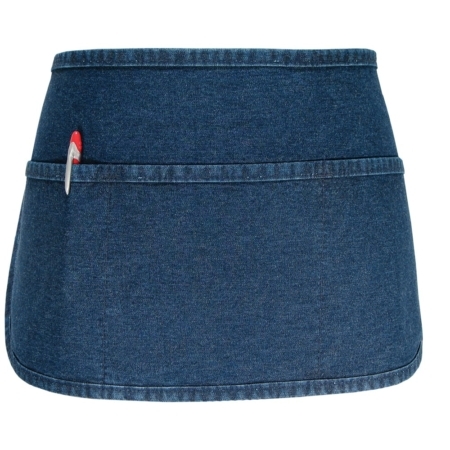 There are 7 font choices and 19 thread colors. 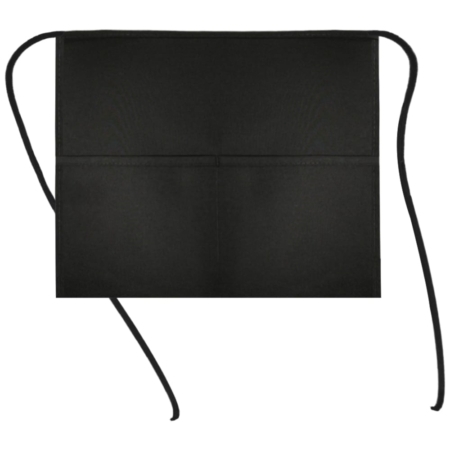 Aprons and Smocks’ 3 Pocket Apron is popular with cooks, chefs, kitchen staff, bartenders, dishwashers, busboys, artists, florists, nursery workers and more. 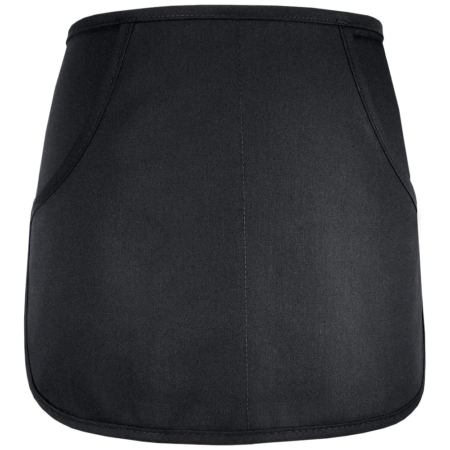 Our goal is to serve you so well that you won’t want to buy aprons anywhere else. 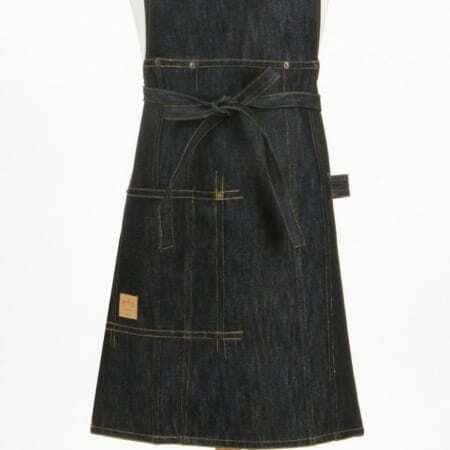 (These aprons have become that popular with some people, but they can tell you about it themselves.) 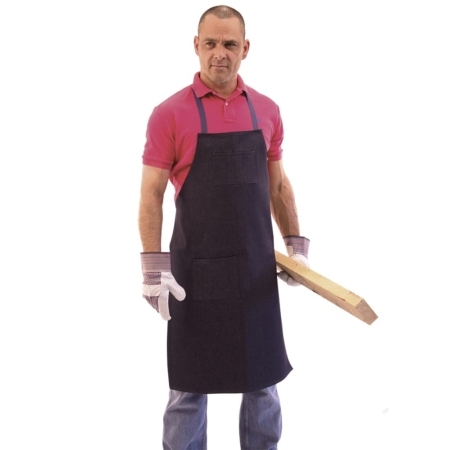 Contact us to find out about discounts on bulk orders and for any assistance with your order.